Confirm to Christians the credibility of their faith. Expose to unbelievers their suppression of truth in order to prepare them to hear the gospel. 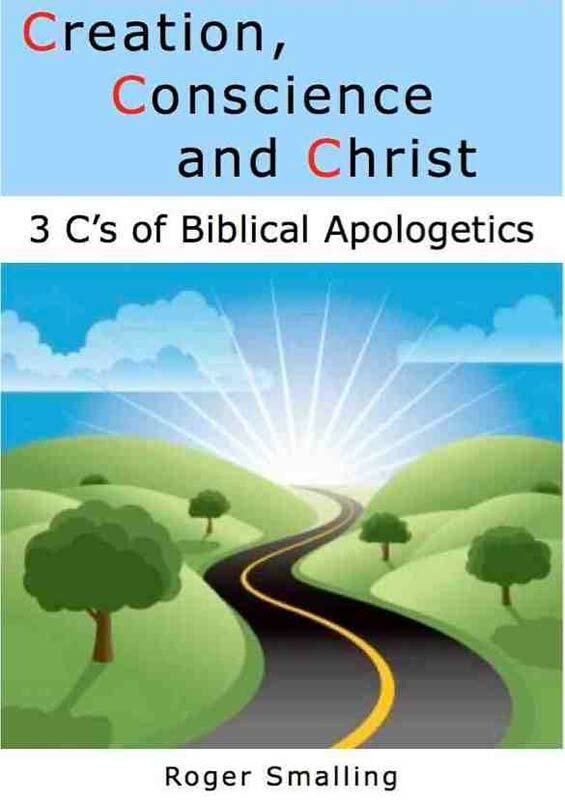 The title Biblical Apologetics means I have chosen to limit this book to arguments the Bible itself uses. I have also chosen to limit it to a particular audience: Christian laymen who may appreciate basic tools for dealing with their non-Christian acquaintances, without complex philosophical elaborations. This book is not intended as an evangelistic device for unbelievers. Romans chapters one and two form the basis of this book with amplifications from other texts. This approach fits better with the needs of the church members I know and with my own calling as a missionary and Bible teacher in Latin America. Am I suggesting it is wrong to use philosophical arguments not found in the Bible? By no means. Use whatever works! A lot has happened since the canon of Scripture was closed. Pseudo-Christian movements, scientific developments and philosophical thought-forms have inundated humanity. These need addressing but other books have been written about them. Do apologetics lead people to Christ? Imagine approaching an onramp leading to a highway. You notice a small tree fallen across the ramp, hindering you from proceeding. You remove the tree and then continue onto the highway. Removing the obstacle is like the role of apologetics. The tree represents intellectual arguments against the existence of God, the authority of Christ or the validity of the Bible. The highway symbolizes the gospel, which as Paul put it is repentance toward God and faith in our Lord Jesus Christ You want the debris out of the way as quickly as possible to gain a hearing for the message. Dwelling too long on intellectual arguments would be like discussing the history of trees before removing it. You would probably never get to the highway, which is precisely why the unbeliever put the tree there in the first place. So the answer to the above question is no, apologetics does not lead people to Christ. It removes the barriers to make it possible for an unbeliever to hear the gospel and consider it plausible. The gospel itself is the power of God for salvation and nothing else is (Romans 1:16). Doctrine of salvation is my specialty, within a Latin American context as a missionary. Yet apologetics, to some degree, is forced upon any minister by the nature of his calling. I have found a helpful tool. Let me share it with you. Dr. Roger Smalling and his wife Dianne are missionaries to Latin America with the Presbyterian Church In America, a theologically conservative branch of the Reformed movement. Roger is also a professor with Miami International Seminary, which shares his vision for a Latin American reformation. The Smallings travel extensively throughout Latin America, holding seminars in churches of various denominations.